Like most people on the planet, your mother probably made it a point to give you Vitamin-D fortified milk so you would have strong, healthy bones. But vitamin D, also known as the “sunshine vitamin,” is necessary for far more than “just” healthy bones. Vitamin D does everything from protect gut health to boost immune responses and reduce inflammation. It’s also critical for proper brain function and can fight depression. If you suspect you have a vitamin D deficiency, speak with your doctor who can give you a test to check your levels. Here are some signs you may be deficient. As I mentioned earlier, vitamin D is linked with your immune system. It helps your body produce over 200 antimicrobial peptides that are quite useful in fighting off infections and illness. If you’re one of those people that seems to get sick multiple times a year and can never shake a cold, you may need more vitamin D.
Exhaustion can often be linked to lifestyle choices like diet, exercise, hydration, and sleep. But, if you make healthy choices and still have little energy to get through the day, you may need more vitamin D. One study even found that vitamin D can decrease fatigue in cancer patients. Vitamin D is essential for strong bones because it helps your body use calcium. That is why elderly patients are encouraged to take vitamin D with their calcium to prevent Osteoporosis. But a vitamin D deficiency has also been linked to rickets, a painful disease that prevents bone tissue from mineralizing properly, resulting in soft bones and skeletal deformities. It turns out there are many vitamin D receptors throughout the brain, and researchers have linked the levels of vitamin D and mood. Though the exact mechanisms have not been determined, it is clear that a deficiency in the vitamin can lead to depression. If you’ve been feeling down for no apparent reason, you may need more vitamin D.
If you’re one of the 30 million American men who are facing challenges in the bedroom, a vitamin D deficiency could be the culprit. 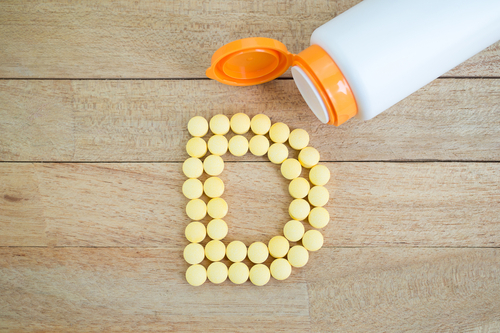 A study by the Journal of Sexual Medicine found a direct link between severe erectile dysfunction (ED) and very low levels of vitamin D.
As with other vitamins, there has been an ongoing debate about how much D is needed for optimal health. The National Institutes of Health (NIH) recommends 600 International Units (IU) of vitamin D a day for adults and children, measured by the amount of the vitamin contained in the blood. But not everyone agrees that this is enough. Based on recent research, Dr. Weil recommends 2,000 IU of vitamin D per day. While that may seem like a lot, one study found that adults who spent time outdoors and developed a slight pink tone to the skin got 10,000 and 25,000 IU from sun exposure. So, supplementing 2,000 IU each day is small in comparison. When it comes to getting more vitamin D into your body, is it better to get it through sun or through supplementation? Research points to natural vitamin D production via sunlight, because it may last twice as long in the blood compared to D that has been ingested. Of course, how much time you can spend in the sun depends on time of year and where you live. The Vitamin D Council says people should expose their skin to sunlight for half the time it takes for their skin to burn. So, for example, fair-skinned people may only need a quick 15-minute walk around the block around midday – without sunscreen – to produce enough vitamin D.
Of course, if you live in the eastern part of the country, there are those times of year when getting outside for sun, even just 15-minutes, is next to impossible. What to do then? We’ve talked a lot on this blog about cold water fish, such as salmon, tuna, and cod, as being an excellent source of Omega-3s. But they’re also rich in vitamin D. In fact, there’s more vitamin D in salmon than in any other food source. A half a fillet provides almost twice as much as the recommended allowance. Once vilified, the egg yolk has been found to be a powerhouse of nutrients, vitamin D being one of them. Your mother may have also made you eat liver. But she was doing it because she knew it was an excellent source of necessary vitamin D.
This delicious cheese has five times the amount of vitamin D than all other cheeses. Lasagna anyone? 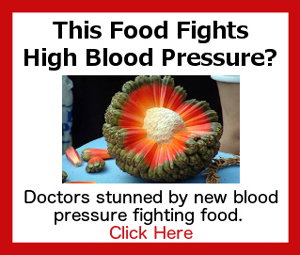 If you’re a vegan, you can get your vitamin D from mushrooms like button, portabello, morel, and shitake. Mushroom also contain a lot of other vitamins and minerals like iron, copper and selenium. Before I found out that I was severely deficient in Vitamin D, I had that uncontrollable appetite for Cottage cheese. I would eat a whole carton by myself in one sitting! My wife enjoys a bit of it also, so she'd buy those big 3 pound containers of it. Unbelievably, I would eat a whole container myself. My wife & I thought I was just being gluttonous. Is it possible that I was subconsciously eating that much to bolster my vitamin D levels? I also had an odd craving for cold smoked salmon, which it turns out is a very good source of vitamin D. I always covered myself in a high SPF sunscreen because I was on medication that would cause severe sunburn. I never drank much milk either. My mother died of Parkinson's disease, and she didn't drink milk or get any vitamin D either. Your recent article really struck me. At my last blood test for vitamin D, my test revealed that I was up to 70.Previously it had been in the single digits. So my doctor recommended that I drop back from 5000 I.U.s per day to only 2000. So I did for quite a while. I stopped taking the vitamin D altogether in the last few months, and I've become very lethargic. I wonder if some of us need more vitamin D than others? I will go back to taking 2000 IU's a day from now on. .